If your babe still wakes to eat multiple times a night, you don’t have to sleep train at the same time as you night wean. You can try gently weaning first, and maybe (just maybe!) you’ll be one of the lucky few mothers that don’t actually have to sleep coach. These lucky mamas have babies who naturally stop waking when they realize that the midnight feeds are getting smaller and smaller. This actually happened to one of my twins and it was a m a z i n g. But her sister wasn’t fooled and continued to wake up right on time for her bottle – and sure as hell she let us know that she wanted that bottle! 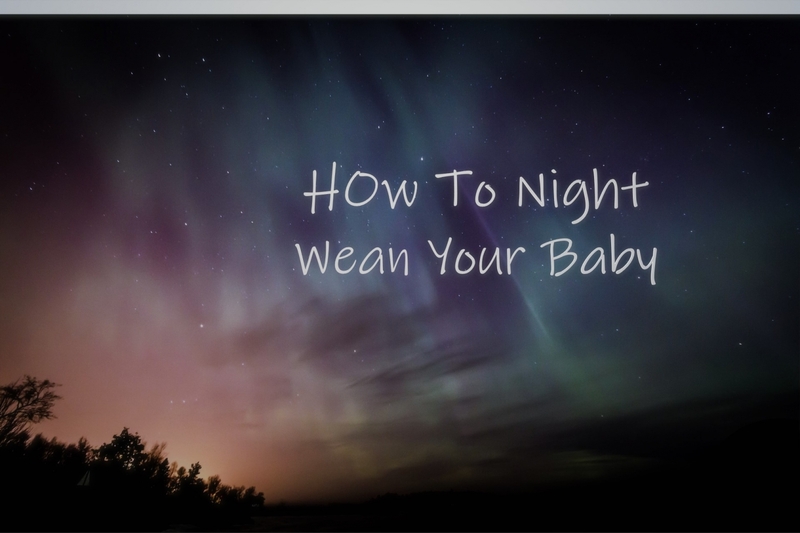 So keep in mind that it’s worth a shot but night weaning does not necessarily equal sleep by any means. 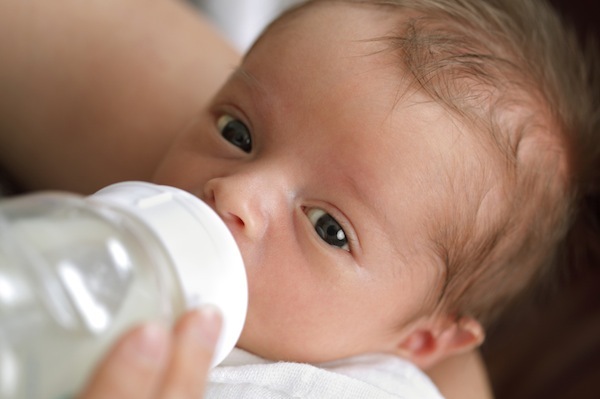 Every 3 nights, reduce the amount of formula in your baby’s bottle by a half an ounce. If she usually takes a 4-ounce bottle for a night feed, then start with 4 ounces, and 3 nights later bring it down to 3.5 ounces. 3 nights later bring it down to 3 ounces, and so on, until there is nothing left in the bottle. At that point, your baby will either stop waking for the feed or… it’s time to sleep train. Every 3 nights, reduce the time you nurse your baby for by 2 minutes. 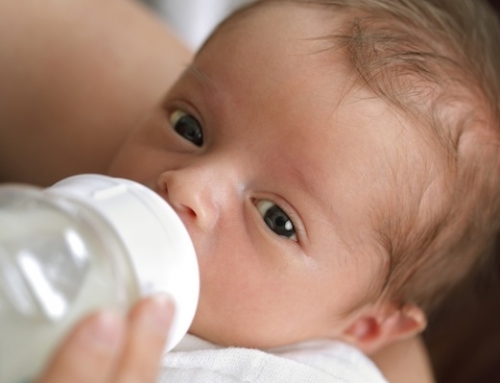 If you usually nurse your baby for 15 minutes, start with 15 minutes the first night. 3 nights later, reduce it to 13 minutes. 3 nights later, to 11 minutes, 3 nights later to 9 minutes… until there is no time left on the clock. At that point, your baby will either stop waking for the feed or it’s time to train her. If you’re working on eliminating more than one nighttime feed, work on one feed at a time. Start with the earliest feed and once that one is eliminated, continue on to the next one, making your way around the clock. If your baby wakes for a feed at 11:30 pm and 3:30 am, first wean him off the 11:30 pm feed and only once he is sleeping through that one, wean him off of the 3:30 am feed. The only snag you can run into with this method is if your baby protests at getting a 2-ounce bottle when she’s used to 4 ounces. She may not have realized that you were gradually reducing the size of her meal, but suddenly she realizes… hey. I’m still hungry. What do they think they’re doing?! In that case, your baby may be sending you a signal that it’s time to sleep train her earlier than you had planned. The other option is much simpler and takes much less time, but it does require more emotional stamina. You will also want to check in with your pediatrician before doing this, to make sure that your baby is ready to go overnight without a feed. Cold turkey, or ripping off the band-aid, is where you simply stop offering the feed to your baby once you deem it no longer necessary. When your baby wakes for his 11:30 pm feed, don’t feed him. This usually results in some serious protest, so make sure you have a plan in place to help your baby through this, whether that be check-ins or another soothing technique. Generally, I prefer to use the Fade Out with babies under 4 months of age and Cold Turkey with babies who are 4 months and up. Older babies don’t appreciate the Fade as much and usually do better with one swift decision carried out with firmness and compassion (no, that’s not a contradiction). Be sure to discuss all feeding and weight gain concerns with your pediatrician before eliminating any feeds for your baby. Don’t want those chubby cheeks disappearing. Can I Sleep Train My Baby and Still Feed Her Overnight?